HONG KONG (CNS) — The long-awaited Sino-Vatican agreement on the nomination of bishops is expected to be signed in September, reported several media outlets. Vatican spokesmen have said only that talks are ongoing. But a Vatican source told America magazine, the New York-based weekly published by the Jesuits, that the deal is due to be signed in Beijing before the end of September, but the report said the text of the agreement will not be made public even after the signing. Earlier, a Vatican source told the Global Times a high-level Vatican official would probably visit China in late September. According to the report, the agreement only deals with the nomination of bishops. Candidates will be chosen at the diocesan level through the democratic election system, and the results of these elections will be sent to Beijing authorities to examine and then submit a name via diplomatic channels to the Holy See. The Holy See will carry out its own investigation of the candidate before the pope either approves or exercises his veto, the report said. This is the case in many Chinese dioceses currently and, for several years, China has not appointed any bishop not recognized by the Holy See. The pope will have the final word on the appointment of bishops in China, the report said. Both reports also said Pope Francis would recognize seven bishops ordained by the pope without Vatican approval, including some it had excommunicated. All seven had previously asked for reconciliation with the pope, ucanews.com reported. It said many Catholics on the mainland said they believed it would be a two-year interim agreement. In China, individual Catholics are not required to register with the government, but the church site and the key leaders are required to register. Leaders of some churches refused to register, and Catholics in those communities are sometimes referred to as underground Catholics. Both communities are faithful to the pope, and both have faced persecution from Chinese authorities. 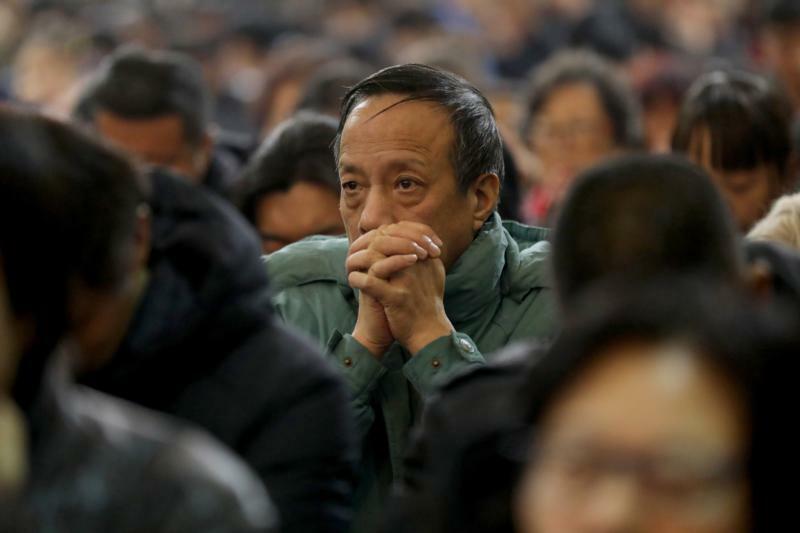 One priest, a member of a registered community of Catholics, expressed support for the agreement, saying the Holy See could directly convey information and directly manage clerics in China so that the mainland church can be standardized and normalized. But an underground Catholic told ucanews.com that the agreement only reached a consensus on the appointment of bishops, which would not help to alleviate China’s suppression of religion. The Global Times sources stressed that ongoing negotiations will stay on the religious level and not touch on any political issue such as the establishment of diplomatic ties between Beijing and the Vatican. Cardinal Joseph Zen Ze-kiun, retired bishop of Hong Kong, told Bloomberg News Network that the agreement is a “plot” that would bring tragic and long-term consequences not only to the Catholic Church in China but also to the entire church. He also said the agreement could clear a hurdle for establishing diplomatic relations with Beijing but may incur a schism among the local faithful. America reported that at the end of December 2017, there were 65 bishops of the open church community recognized by Chinese authorities and 36 of the underground community who do not have official recognition. Some have since died. The report said there were still many questions, including the situation of underground bishops and their communities; the status of the Chinese bishops’ conference (not recognized by Rome because only Beijing-approved bishops belong to it); the number of dioceses in China (the Vatican claims there are 144, including 32 vicariates or prefectures, while Beijing insists there are 96); and the possibility for Chinese bishops to freely visit the Holy See and for Vatican officials to visit them.